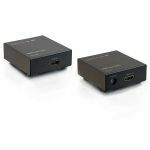 LevelOne’s The Cat.5 Audio/Video Extender is an ideal broadcast audio and video solution when operating with simultaneous to multiple remote monitors via Ethernet cable network. 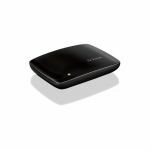 Our extender contains two devices, a broadcaster to collect audio sounds and video images for long-distance transmissions over popular Ethernet CAT.5 cable up to 150meter (500feet), and a receiver that receives the multimedia information and displays it on remote screens. The Cat.5 Audio/Video Broadcaster comes in two models: AVE-9201 with 1 RJ-45 port and AVE-9205 with 5 RJ-45 ports. 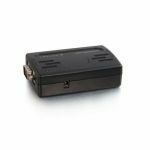 The AVE-9205 allows you to deliver audio and video content to five remote locations simultaneously. Both models are daisy chainable with another broadcaster to increase your AV remote display number. The Cat.5 Audio/Video Extender uses the existing Cat.5 cable network to transfer high quality vedio and audio contents to remote sides sites. You only need to install a pair of broadcasters and receivers into local and remote sides individually to provide the flexibility needed to access real-time multimedia content either from a remote side (broadcaster) or from a local site (receiver). 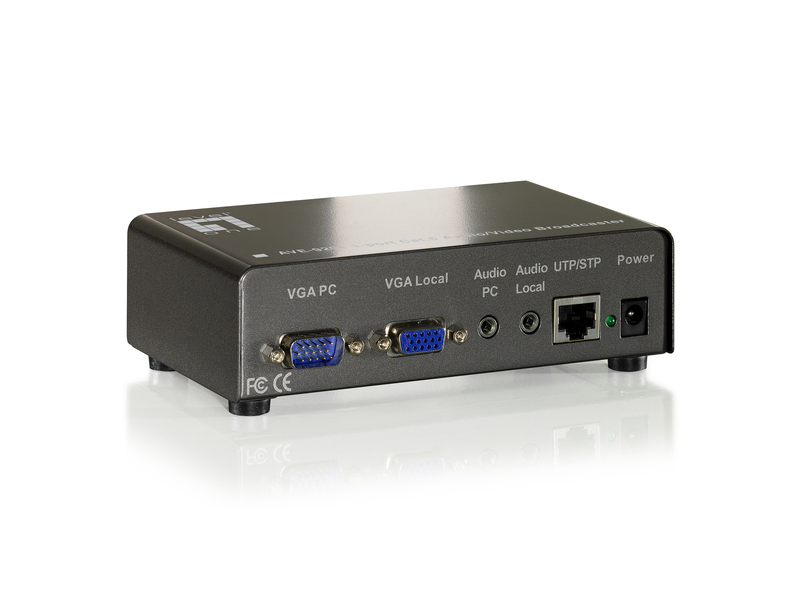 With its compact design, our Cat.5 Audio/Video Extender easily fits on a desk or any limited space. No software or interface card is required. 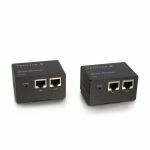 You can easily active this device by simply connecting it to the power source and to the network cable, further saving cable layout and cable installation cost.